Roxanne is back! She joins Carla & Deirdre as they bring in the new year discussing SWTOR and what they would like to see in the game for 2012. As of December 22nd, EA announced that SWTOR has one million subscribers. 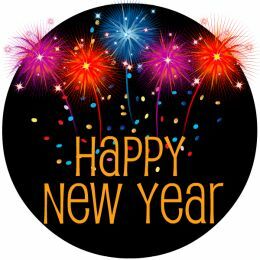 We hope all our listeners have an even better year in 2012 than they had last year! Thank you to each of you that took the time to submit entries for our latest contest and for following us on Facebook & Twitter. THANK YOU and HAPPY NEW YEAR! Scoundrels need their cover shield returned. I enjoy listening to you ladies on the podcast, which I have followed for considerable time. However, I feel your giddyness over the greatness of this game is a bit exagerated. Is it a good game? Yes. Does it need improvement? Definetely. Are there lots of bugs? Yes. I would like to see you a little more critical of the flaws in the game instead of just patting Bioware on the back for their job well done. I have just discovered your cast, but am going to Sub on Itunes when I sync up here in a few. And because I am a generally disagreeable person I would like to throw my 2 cents in. on ‘Game of the Year’.. No way. 10 days old when they got that award. Skyrims alot better for several reasons. Not the least to mention that (and I love SwTor so far) SwTor really hasnt pushed the envelope off mmorpg’s that much. Rift easily did the same with there inovations. Granted Rift suffered from a profound lack of support and critical fixes, but maybe this game will too. It’s too early to tell. Skyrim was a much better and inovative game. and on Slicing. I dont really know if i agree with the whole Nerfing of Slicing. If you take it on a toon, you will have to pay alot to get stuff that you otherwise could have made, so maybe it is (or was pre-nerf) a even trade off? But anywho…. Love the show, going to d/l some past issues so I am not bored at work tommorow. Great podcast first time i have listened to it and i look forward to the next episode. It is a breath of fresh air just to listen to ‘normal’ people who just like playing the game especially since i have spent a lot of time over the holidays on the official forums trying to fend off the haters with no real sense of accomplishment. Of the little niggles i would like to see introduced or indeed sorted would be. Guild Banks – My bank on my ‘main’ toon (i started down the dark alt path yesterday) is getting full and guild chat is getting annoyed with all the goodies i want to share and a GB would make this easier. UI Customization – Would like maybe a couple more action bars especially at the bottom of the screen. Maybe the ability to move it about and resize some things would be nice. Also the hard coded keybinds (the key next to the 1) i hate these. Action time delay – The animation finishing before next ability delay is the major one i think everyone wants to see sorted. and my personal favorite – Corso Riggs – Harpoon Shot – Please please please let me stop him constantly switching this skill back on. There are a few more but god if that lassie who reads the comments and other stuff manages to get through the tripe that i had been going on about above as well as this closing message she wants me to stop. You do have the ability to get to your fleet using an ability in the first powers tab (in the same area as your instant travel ability to get to sites you visited and unlocked). Not able to go ingame since I am at work, but the ability is called something like an emergency fleet shuttle or something like that. I play on the Republic side, and it allows me from wherever I am playing to instantly be transported to the Republic Fleet. I use this for quick travel to join a flashpoint group. The one drawback is that you can only use it every so often. It has a cool down of a couple hours or something. Razer Contest Winners Announcement! Thom’s Thought Transmission: Do references break your immersion?